· For the first time, I was sponsored. The closest I have come to being sponsored before this, was a beer or two after the runs on a couple of occasions. Thanks Wipro! · There were 147 teams that participated, that’s a whopping 600 people running the 5kms. · The starting area was actually inside the resort (last year it was in the parking lot). · The tees were excellent (esp. the ones that came in the delayed lot). All participants (Note: deliberately avoiding use of the word ‘finishers’) were given shining Gold Medals. 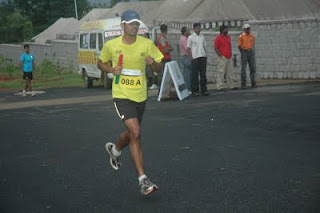 · There were stronger runners, the entire Toyota team put up an excellent show, an average of 20.5mins for the 5k each. · Good opportunity to interact with colleagues – Neetesh, Aman & Bryant from my team & Subba, Jai, Santosh & Naresh from the second Wipro team. 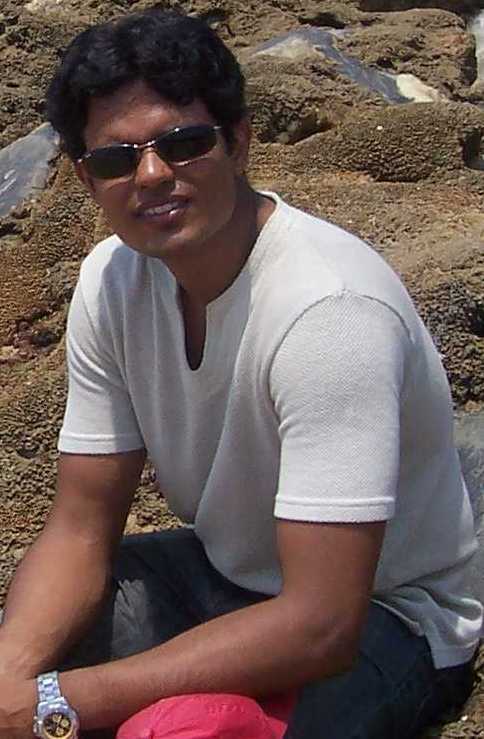 · Food was good, but you would have to think twice to offer your non-running family member breakfast. It was a whopping Rs.300 per person for the buffet breakfast. Quite a pinch if you were thinking of a stay-cation for the weekend in the countryside with your family of 4! · The course was unchanged from last year. It’s a 2.5k and back, I’m sure we can have more variety for such a short distance. · The bibs were clumsy, with the company name needing to be sprawled across on a second bib pinned on top of the first one. · With a timing of 22:20mins for the 5k, I came in 18th overall, out of the near 600 runners – top 3 percentile!! 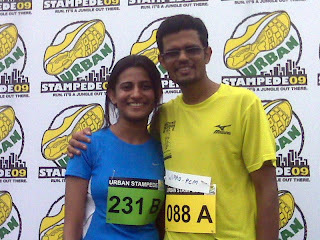 · Accompanied my fiancée, Shreya who was running the second leg for Ujjivan. The 40mins were special. Reena & Athreya perched themselves strategically along the course to make sure we don’t get ‘lost’ in the bushes. Haha, good one! I lost an opportunity to run with Mr Hubby this year coz of my sudden travel plans. Looking good, the running couple! Awesome maga.. so awesome that if I come to your place you could give me some Awesome instead of Coffee.. and u'd still hvae plenty of Awesome left ..